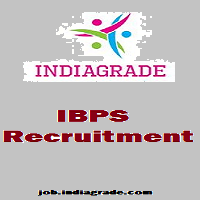 IBPS RRB CWE Application Form 2015: Institute of Banking Personnel Selection (IBPS) has published the notification for the recruitment of Officers Scale I II & III and Office Assistants through its official portal website. Candidates who are going to appear for the IBPS RRB CWE 4 2015 are searching in the internet to know the starting date for the online IBPS RRB CWE 4 Application Form 2015. Now the online application for the recruitment of the IBPS RRB CWE IV exam 2015 is available in the official portal web page. Candidates are advised to see the latest notification and they are encouraged to apply for the IBPS RRB CWE 4 exam 2015 before the last date of the completion of the both online & offline IBPS RRB CWE IV Application 2015. A candidate can apply for the Post of Office Assistant (Multipurpose) and also apply for the Post of Officer cadre. Candidates should apply separately and pay fees separately for each post applied for. Candidates who are going to apply for the upcoming IBPS RRB IV exam 2015 are informed that they should see the eligibility criteria, online registration process, payment of prescribed application fee and pattern for the exam. The eligibility criteria for IBPS RRB Exam 2015 for the recruitment of the is clearly available here, You should read that clearly before going to apply for the IBPS RRB CWE 4 examination 2015. There will be penalty of marks for each wrong answers (0.25 marks). a Tibetan Refugee who came over to India before 1st January 1962. Note: Candidates should read the age relaxations as per the rules for all community clearly. Office Assistants:- Degree from a recognized University or equivalent. Officer Scale I:- Degree from a recognized University or equivalent. Preference given for degree in Agriculture, Horticulture, Forestry, Animal Husbandry, Veterinary Science, Agricultural Engineering, Pisciculture, Agricultural Marketing and Cooperation, Information, Technology, Management, Law, Economics and Accountancy. Officer Scale II:- Degree from a recognized University or equivalent with a minimum of 50%. Officer Scale III:- Degree from a recognized University or equivalent with a minimum of 50%. Note: Experience not needed for the Officer Scale I and Office Assistants (Multipurpose). IBPS RRB CWE 4 Exam Date 2015: 05.09.2015, 06.09.2015, 12.09.2015, 13.09.2015, 19.09.2015, 20.09.2015, 26.09.2015 & 27.09.2015. Candidates should go to the IBPS website and the link is given above. Click and apply for your appropriate posts such as Officers Scale I II & III and Office Assistants. Candidates shpuld enter their basic details and upload the photograph and signature in the IBPS CWE RRB online application form 2015. Finally make the payment through net banking, credit / debit card and using E-chalan. After completing the procedure of applying online including payment of fees, the candidate should take a printout of the system generated online application form three days after fee payment. Candidates should ensure the particulars filled in are accurate and retain it along with Registration Number and Password for future reference.